Superior Cosmetic & Family Dentistry (Bowie) - Book Appointment Online! 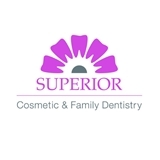 Superior Cosmetic & Family Dentistry is a local practice offering general dental care and cosmetic dental services for the whole family. Dr. Shatergholi and his team provide personalized care in a relaxing and welcoming environment. Nitrous sedation services are available for patients who suffer from dental anxiety.